Mr. Gillman has experience in a variety of sophisticated transactional real estate matters including: finance (representing both domestic and foreign lenders and borrowers); the formation and structuring of complex general and limited partnerships, joint ventures and limited liability companies, retail, industrial and commercial leasing (representing both landlords and tenants); the purchase and sale of large commercial, retail, and residential properties; like kind exchanges; ownership and management of retail and commercial projects; troubled project workouts, California "one action" rule and anti-deficiency law counseling, deed in lieu transactions and foreclosures. Representative matters include: (1) representation of several master developers in a variety of land use, financing, and development matters relating to master planned communities, (2) representation of a major landowner in the acquisition of land and the subsequent development of commercial/industrial buildings, (3) representation of a tenant in the negotiation and documentation of a long term baseball stadium lease, (4) representation of a major real estate development company in the structuring, negotiation, and documentation of numerous financing and joint venture agreements with both traditional lenders and equity investors; (5) counseling lenders and borrowers in a variety of workout and enforcement scenarios, and (6) representation of landlords and tenants in a variety of leasing matters. 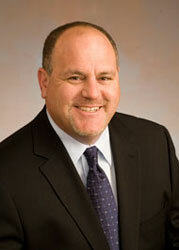 Mr. Gillman is a member of the Orange County Bar Association and the State Bar of California. He is actively involved with his Temple and in various community groups. Mr. Gillman received a B.A. degree with a double major in Economics and Political Science from the University of California, Berkeley, in 1990. He received his J.D. degree in 1993 from Hastings College of the Law, where he was a Member and Assistant Editor of the Hastings Constitutional Law Quarterly. Following his graduation from law school, Mr. Gillman joined the Irvine real estate boutique Layman, Jones & Dye, where he focused his practice in the real estate and lender representation areas including troubled project workouts. In 1995, Layman, Jones & Dye merged with the Orange County office of Bryan Cave LLP, where Mr. Gillman continued his real estate and lender practice. In 1999, Mr. Gillman joined the real estate department at the Irvine law firm of Smith, Deverich, Ellison & Harraka before he left at the end of 2000 to found Deverich & Gillman LLP.